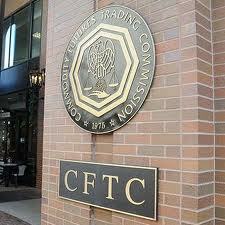 The US Commodity Futures Trading Commission (CFTC) has today stated that it has obtained a federal court order in Massachusetts against a Californian orchestrator of an FX fraud scheme, resulting in the court’s decision to request a $17 million fiscal penalty, comprising of disgorgement, restitution and a fine. The subject of this order is Lyndon Parrilla, who in addition to this civil penalty, finds himself on the receiving end of criminal proceedings, sentencing him to 97 months imprisonment, along with an instruction to pay restitution of $4.6 million as a result of his fraudulent conduct. Further to a complaint submitted to the CFTC on April 12, 2011, the US regulatory authority found that Mr. Parrilla and his company Green Tree Capital had conducted an off-exchange FX fraud scheme in which he and Green Tree Capital defrauded over 50 customers in the United States of over $4 million. The United States is world renowned for its customer protection laws, and promptly after receiving the complaint, the court entered judgement against Green Tree on June 30, 2011, insofar as that these parties fraudulently solicited investment from clients from approximately October 2009 until April 2011, for the purported purpose of trading off-exchange FX contracts on a leveraged or margined basis in managed accounts. Judge Joseph L. Tauro of the U.S. District Court for the District of Massachusetts entered the final judgement and permanent injunction Order on October 24, 2013, requiring Mr. Parrilla to pay restitution of $4,197,342 to defrauded customers, disgorgement of $3,353,925, and a $10 million civil monetary penalty. The Order also imposes permanent trading and registration bans against Parrilla and prohibits him from further violations of the Commodity Exchange Act (CEA) and CFTC regulations, as charged. As is often the case in such situations whereby operators of FX schemes fall foul of the long arm of the law, unrealistic and inappropriate claims of high returns had been made to clients. In soliciting the funds, the court order finds that Mr. Parrilla, on behalf of Green Tree Capital, misrepresented that Green Tree Capital had a record of delivering consistently profitable returns, when in fact, it had incurred trading losses since its inception, and almost 80% of customer funds were never traded or invested in any manner. In fact, according to the Order, Mr. Parrilla misappropriated over $3.3 million of customer funds to pay personal and entertainment expenses, including Las Vegas casino expenses, purchase automobiles and clothing, and ATM or cash withdrawals. To disguise these misrepresentations, trading losses and misappropriations,the CFTC asserts that Mr. Parrilla sent false Green Tree Capital account statements to customers by email. Further, the Order finds that Parrilla misrepresented his experience and expertise, and failed to disclose that the National Futures Association (NFA)had permanently barred him from NFA membership. As a result of a parallel criminal action brought by the U.S. Attorney’s Office in November 2012, Mr. Parrilla was sentenced to, among other things, a term of 97 months imprisonment and was ordered to pay restitution in the exact amount of $4,675,156.